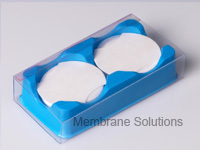 MS®PTFE membrane media for filtration is made of PTFE (polytetrafluorothylene), and were drawn 2-demension. 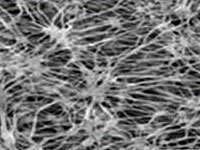 It is micro-pore film. The PTFE membrane was laminated with great variety of fabric and paper. They are new filter media. Applied to extensive industries, including biochemistry, microelectronic, lab material and etc. Directly and indirectly related to pharmacy brewing, manufacture of pure water and special need water, beverage and dairy, chemical regent, biochemical regent, air filtration of fementation tank in microelectronic, purification and filtration in microelectronic plants, filtration and separation of antibacterial fluid, production of medicine, air conditioning of hospitals and commercial buildings.